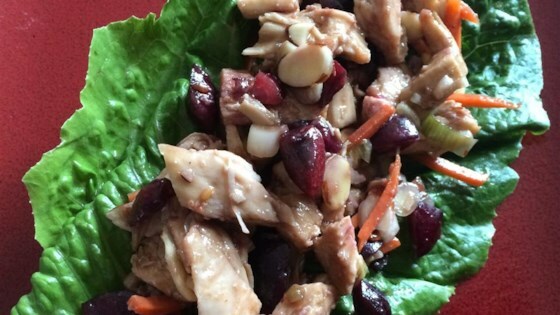 "Crisp lettuce leaves make a crunchy and refreshing wrapper for the teriyaki chicken mixture." Refreshing and fun. Per others' suggestions, I added mushrooms and craisins. I cooked it all in the crockpot (minus the green onion, carrots and craisins) to save cooking time. Very delicious!